Nike+ and TomTom have announced the Sportwatch, an entry-level fitness tracking wristwatch for amateur runners which uses Nike's fuel currency system to reward users with special fuel points, depending on how active they are – much like the Nike+ Fuel Band. “Our extended range of products will be very useful to those adding running intotheir exercise regime. And the new NikeFuel measurement brings added motivation, allowing people to share and compare their performance with friends in other sports,” says Corinne Vigreux, Managing Director, TomTom. 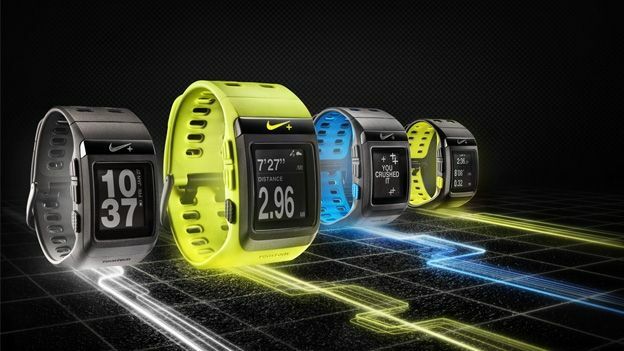 Available in several shades including black and blue, the Nike+ Sportwatch tracks runners' movements and converts them into a virtual currency called NikeFuel. Users are then able to compare personal records and stats with other athletes. It's being billed as a starter product for those who're new to running, however, the device also tracks activity in a wide variety of other sports. The new editions of the Nike+ Sportwatch are available now at selected retailers, with prices starting from £129.00.